Is the avocado ranch a dressing? Yes, it’s a homemade recipe. It’s simply finely mashed avocado, a 1/8 tsp of cayenne pepper, 1/8 tsp of salt, 1/2 of an avocado, 1/2 cup of ranch dressing (of choice) and 1 tsp of garlic powder. That’s it! Mix it all together finely until it creates a creamy sauce. There you have it, hope you enjoy! 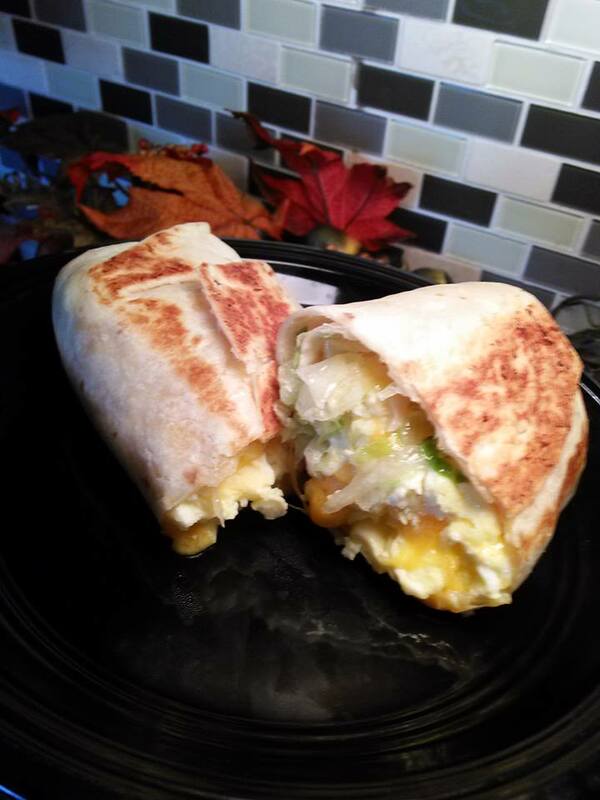 A breakfast burrito, one of my favorite meals any time of day! Yum! Can you deliver one to me now?! 😉 Looks delicious!